Mangaluru, Oct 6,2017: A joint study released by Assocham-TechSci on ’Indian Cosmeceuticals Market 2022’ reveals that increasing sales of cosmeceuticals in India is attributed to rising awareness about benefits of using such products with medicinal proprieties and shifting preferences towards these products over conventional chemical based cosmetics. Demand for cosmeceuticals, organic and natural cosmetic products is anticipated to rise over the next five years. Consumer preferences are also changing, with evolving lifestyles and increasing spending. Cosmeceuticals manufacturing companies are recommended to focus on rolling out of newer and more advanced products to increase sales and strengthen their market position. The study recommended, make Bureau of Indian Standards (BIS) product standards should be voluntary. BIS standards should focus on safety and analytical methods. Quality compliance should be mandatory through effective implementation of Good Manufacturing Practices (GMP) and yearly audits. The study pointed out that there should be one single regulation to cover cosmetics and separate it from that for drugs. The guidelines for uniform interpretation of regulations and their implementation across the country - license issued by one state to be accepted by all states. Shift from licensing to notification (in trend with international regulations). The procedural requirements should be made simple to encourage innovation and product development, noted the study. The products should be supported by manufacturer’s quality and BIS safety standards- Onus is on manufacturer to provide safe & quality products and the regulatory focus only on safety of product through post market surveillance. The clear guidelines should be provided and cosmetic categories should be established to remove any ambiguity. Follow Good Regulatory Practice Concept - assist in meeting international obligations under WTO Agreement. The skin care segment accounted for a value share of 18% in India cosmeceutical, cosmetics and personal care market in 2016 and this share is projected to further grow in the coming years. Skin care products are exhibiting swift growth due to rising awareness about hazards caused by pollution, UV rays, etc. Also, there is a growing inclination among Indian consumers, especially women, to look presentable, adds the paper. 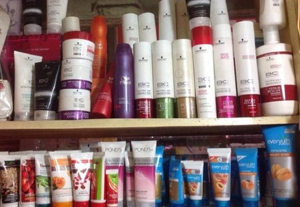 The personal care and cosmetics market in India has had consistent growth over the last decade, with increasing shelf space in boutiques and retail stores across the country. Many multinational brands have entered the Indian market, primarily aided by dedicated support structure and their respective pricing strategies. The domestic market for personal care products is projected to grow at a CAGR of around 22% during the period 2017-2020. Moreover, the market will maintain healthy growth due to rising preference for specialized cosmetic products such as organic, herbal and ayurvedic products. Principal areas that are expected to grow include color cosmetics, fragrances, specialized skin care, hair care and make-up cosmetics. Currently, India accounts for a share of just over 1% of total global personal care, cosmetics and cosmeceutical market. This share is anticipated to grow significantly over the next 5 years. This growth will be primarily led by increasing disposable income, relatively young urban elite population and rising middle-class population. With a growing number of international companies having entered the Indian personal care & cosmetics market, the market competition for domestic brands is increasing. However, bigger players like Dabur and Marico continue to dominate the market due to presence of ayurvedic and herbal cosmetic products in their respective product portfolios. One of the reasons that imported cosmetics brands have had a major impact in the Indian market is due to the perception of most consumers that foreign brands are of superior quality. These brands have pushed growth of the Indian market by attracting aspirational consumers. Demand for premium products is growing in India as Indian consumers are moving from functional products to more advanced and specialized cosmetic products. Many international brands like Revlon, Avon, Burberry, Calvin Klein, Cartier, Christian Dior,Estee Lauder, Elizabeth Arden, Lancome, Chambor, Coty, L’Oreal, Oriflame, Yardley, Wella, Schwarzkopf, Escada, Nina, Ricci, Rochas, Yves St. Laurent, Tommy Hilfiger, Max factor, Max Mara, Shiseido, Body Shop, Maybelline New York, MAC and many more like these have been present in India for quite some time now. We should never compromise with the cosmetic price because the product is always acco0rding to its price .